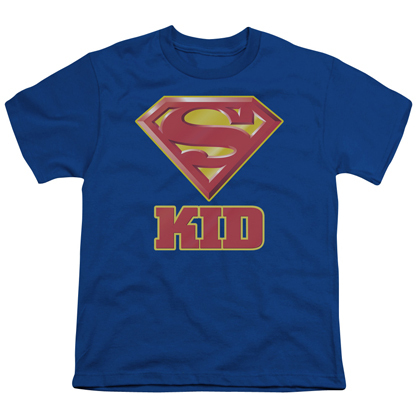 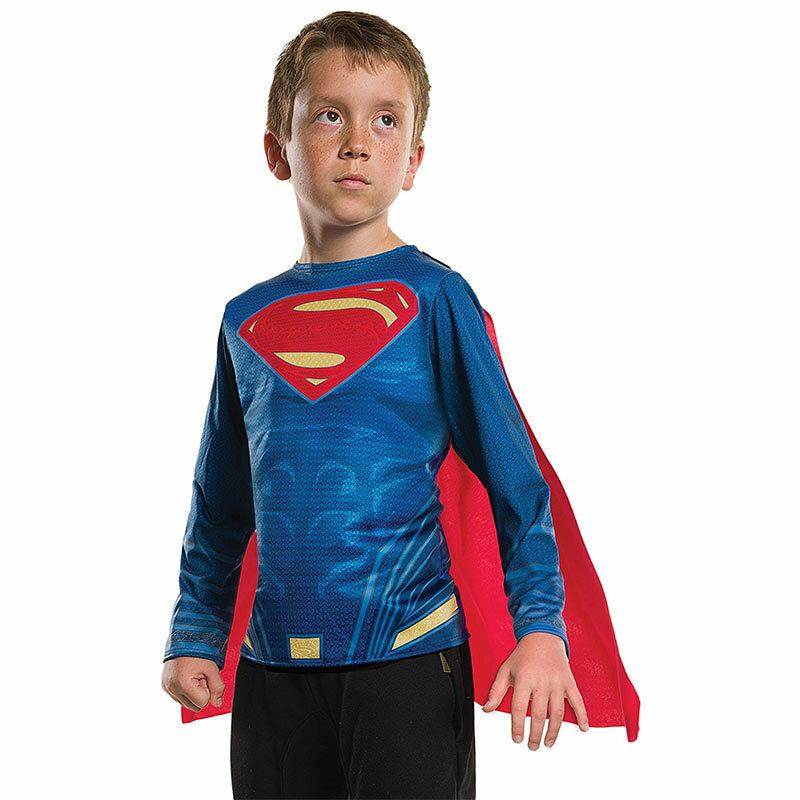 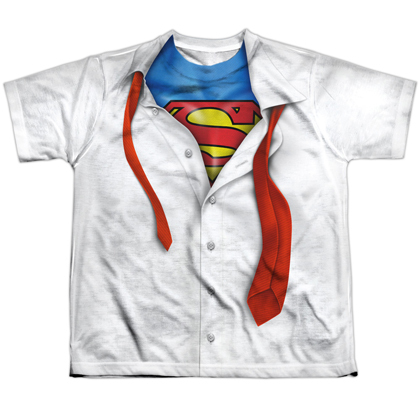 Officially licensed youth Superman costume tee shirt. Comes in blue with the "Superman" logo on the front and a red cape on the back. 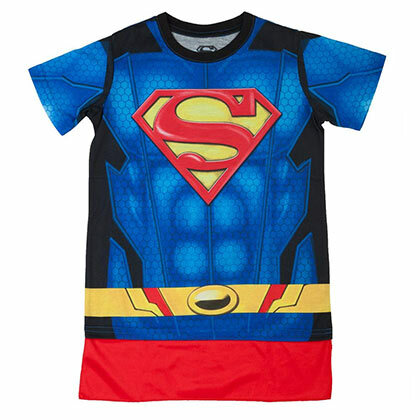 Made from 100% polyester.